The statistic presents the net sales of Sega Sammy Holdings from fiscal years 2015 to 2018, broken down by segment. 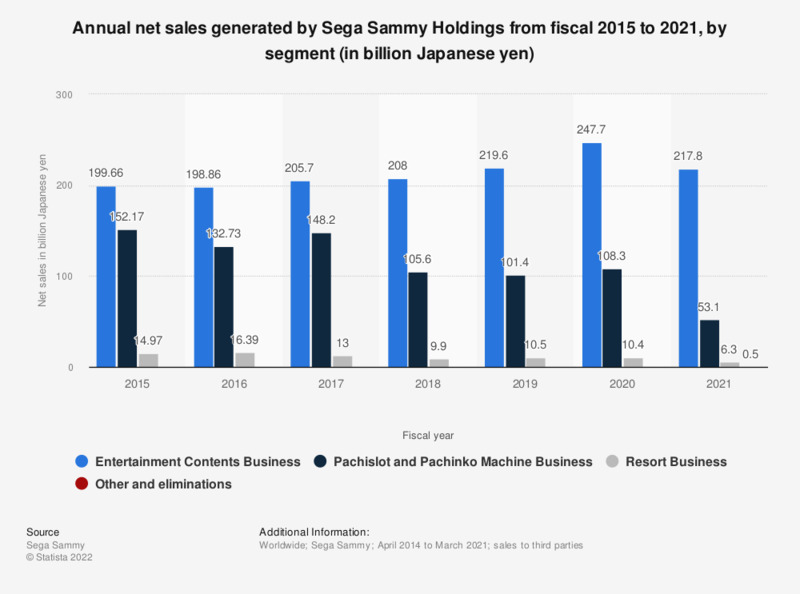 In the last fiscal year that ended March 31, 2018, Sega Sammy generated 105.6 billion Japanese yen in revenue from its Pachislot and Pachinko business segment. Between fiscal 2015 and 2016, the Sega Sammy have reorganized their operations from 5 to 3 business segments. Therefore the data presented dates back to 215 only, Previous segment data can be downloaded in an excel file for comparison. Sega Sammy Holdings operates on fiscal year that begins April 1 and ends March 31. If no, what are the main reasons your company has not taken on apprentices?